Our Western Washington family law firm is committed to bringing an effective and efficient resolution to your marital and family matters. Our primary goal is to quickly resolve the immediate issues arising at separation on a temporary basis in order to restore a sense of balance to your life. We establish a close working relationship with every client we represent, working together to develop an equitable marriage dissolution plan that considers the best interests of everyone involved. While we encourage you to reach a settlement through mediation, we understand that there are cases where certain issues cannot be easily agreed upon. In such cases, we will vigorously assert your rights in court. 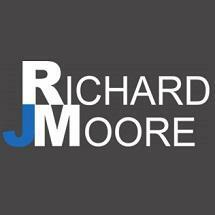 Richard J. Moore has continually practiced for over 30 years in Washington State courts. He is admitted to practice in all Washington State courts, the U. S. District Court for the Western District of Washington and the Ninth Circuit Court of Appeals. In addition, he is licensed to practice in Colorado, State and Federal District and Appeals Courts. He is a member of the Washington State Bar Association. Whether you have children’s issues to resolve or other divorce matters contact the Law Office of Richard J. Moore in Bothell, Washington. A divorce and family lawyer will help you resolve your legal matter swiftly and effectually. Call 425.482.0700 today for a consultation.